This is the weblog or "newspaper" of the Chapel of Our Mother God. All new articles are announced here, together with many other news items and discussions. You are encouraged to bookmark this page and check it regularly or else subscribe to the RSS feed. You are also warmly invited to send your own questions and comments, and also relevant news-items. During the Easter cycle, the year itself changes, dies and is reborn. However, the cycle runs deeper than that of mere this-worldly events. "As above, so below". Things of the world are but reflections of those things that transcend, predate, and are the causes of all worldly being. 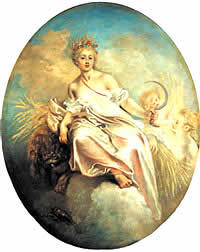 Thus the rebirth of the day, and of the year, are but shadows of the rebirth of the cosmos itself and of Deity Herself. 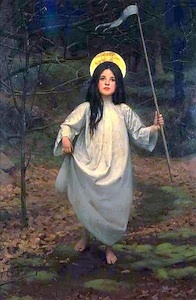 Read all about Easter and the Divine Maid's role in the renewal of the cosmos. 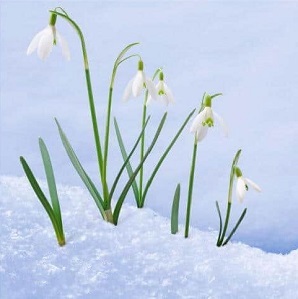 The frail snowdrop who braves the snow is one of the symbols of Luciad, the festival midway between Nativity and Easter. It is the primary festival of the Daughter as Light Bringer and a time for the blessing of candles. Today is the happy occasion of the showing-forth of the Daughter. Please read all about it! The bright Janya before the cave says: This night shall a Child be born that shall be the Daughter of Light and the Princess of all the world. Like a great Dove upon the waters She brooded. And She became absorbed within Her and communed with Her own Self. The Feast of the Conception of the Daughter is at the heart of the Advent season and marks the transition between the two halves of the Sacred Year as Nativity approaches. Tamala is the culmination of the Mysteries of Life season, a three-day fire festival known as the Feast of the Dead. 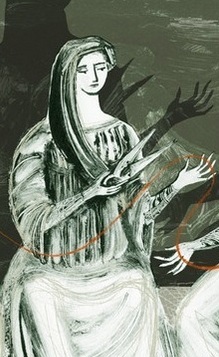 The three Fates are closely associated with the season, and at Tamala the central Fate is she who cuts the thread. This may refer to human death, to the collapse of a civilization or to the eventual end of the universe itself. All these events are circular, for maids die and are reborn, civilizations rise, fall and rise again, and even the universe, after the night of time, shall be re-manifested. The Autumn Equinox festival of Cuivanya, the Feast of Divine Life, is the central festival of the Mysteries of Life season. It is the festival of life abundant, all of which depends on the Divine Mother. Chelanya, the Golden Festival, also called the Festival of Regeneration, opens the Mysteries of Life season. It is particularly concerned with renewal and rebirth – and all birth is rebirth – while later festivals are about abundance of life and about death. 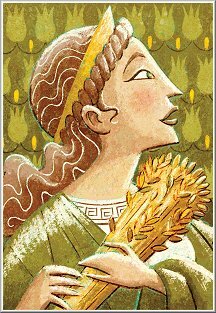 The Mysteries of Life were a primary focus of the worship of Demeter in the ancient world and the harvest is their central symbol. The High Feast of Rosa Mundi is the central festival of Summer, opening the season of the Fire and the Rose. The season is a solar-lunar one, beginning with the summer solstice and ending with the full moon, this year a week later. The festival is traditionally celebrated with a bonfire and outdoor revelry, and roses are often given as gifts. 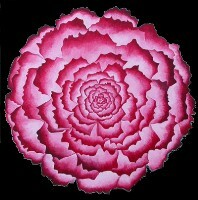 Mystically it relates to "the innermost temple of your heart, whose form is the form of a rose". 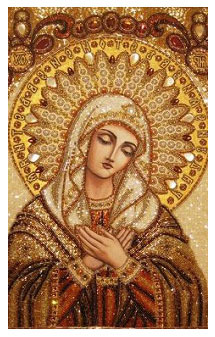 May Day is the Festival of the Queen of Heaven. 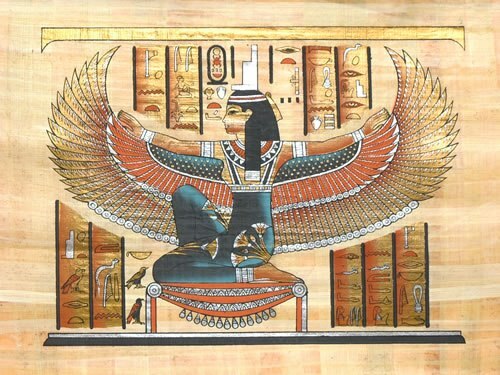 This is a title that has been given over the centuries to many manifestations of the Divine Mother, including Isis, pictured above. Isis was the Queen of Heaven not only in ancient Egypt but also throughout the later Roman Empire, where her worship rivaled that of the older Roman gods and vied for popularity with the emerging Christian faith. 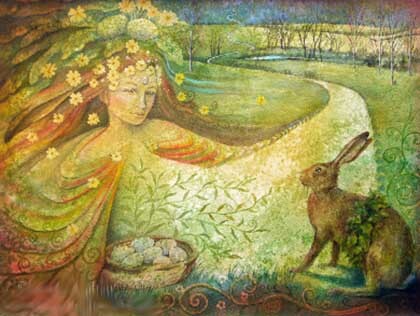 The Spring Equinox festival of Easter marks the beginning of Spring, the beginning of the year, and the renewal of the world. 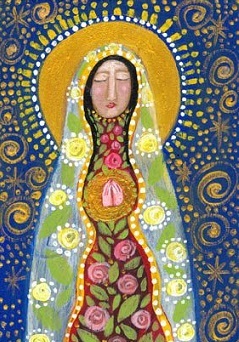 The rebirth of the world in Spring reflects the resurrection of the Divine Daughter and the renewal of the cosmos. The Feast of Lights, also known as Luciad, celebrates the vow of the Daughter to take the light of the Divine even into the deepest and darkest places of manifestation. Candles and snowdrops are associated with the day, reminders of the Daughter's gentle light. The shining Janya before the cave says: This night shall a Child be born that shall be the Daughter of Light and the Princess of all the world. A Child is coming that shall carry the light of Dea into every part of Creation; even to the most desolate of the places of darkness. Rejoice, poor wanderers of the earth and exiles from the house of your Mother, for to you shall come a Guide and a Deliverer. The Commencement of the Advent is the first festival of the Nativity season. 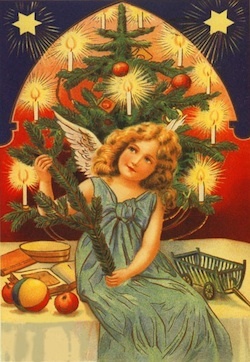 It marks the start of preparations, including decorating the tree. 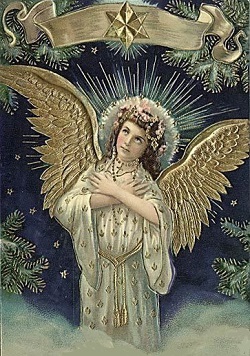 The final festival before the Nativity season celebrates Death as perhaps the most mysterious of the Mysteries of Life. The image here represents Catrina, a central figure in the Mexican Day of the Dead festival. Though relatively recent in this elegant form, Catrina embodies a folk-tradition of the Aztec goddess Mictecacihuatl, Lady of the Dead, Keeper of the Bones. The festival is celebrated with altars to the honoured dead, with sugar skulls and crossed-bone buns, and with grave-visiting. Though the idea of death is very much to the forefront, it is far from a sombre festival and includes dressing-up and dancing. 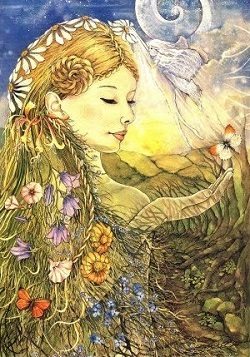 Cuivanya, the Autumn Equinox festival, celebrates our Mother God as the Ground of All Being and the Creatrix of the World. 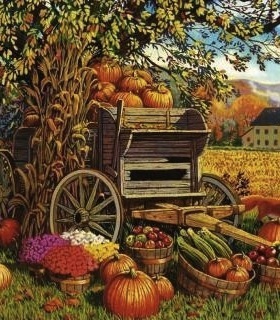 As a Harvest Festival, it celebrates abundance of life — life as it comes to fruition and completion. 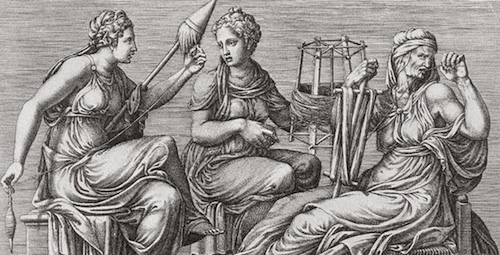 The Three Fates hold the threads of life and destiny. 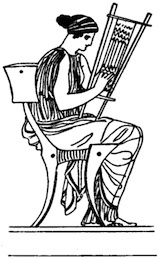 In the Greek tradition they are the Moirai: Clotho, Lachesis and Atropos. In the Scandinavian tradition they are the Norns: Urðr, Verðandi and Skuld. In Déanic religion, the three fates are considered to be a single Janya named Werde, who has three Persons: Maia, Werde and Kala. Maia is the Spinner, Werde the Weaver and Kala the Cutter. Three of the months of the Déanic Calendar are named for these Three Persons. The Day of Werde is celebrated as part of the Mysteries of Life season. Read more about the three manifestations of Werde. 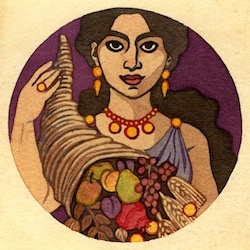 Chelanya, often called the Golden Festival, opens the Mysteries of Life season. The Mysteries of Life may be seen as harvest festivals, as Nature's harvests reflect the metaphysical realities of the Spirit. Symbols of Chelanya include the corn dolly and the crescent moon-shaped sickle. The High Feast of Rosa Mundi marks the beginning of the Fire and Rose season. Associated with the season is the motif of the Sleeping Beauty, who may be protected by thorns like the rose or by a circle of fire. The heart of the tale is the quest of the soul for the Spirit. 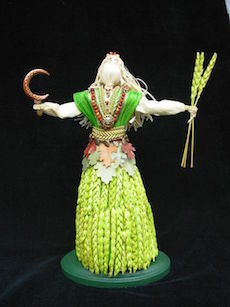 Chelouranya celebrates the day of the warrior queen Sai Rayanna in late spring, on May 16th. 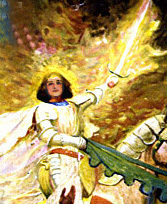 Sai Rayanna, Daughter of the Sun and first Raihiranya (Empress) of Sai Herthe, is said to have used the power of the Sun to defeat a demon invasion. The Sun is of course a primary symbol of Dea. 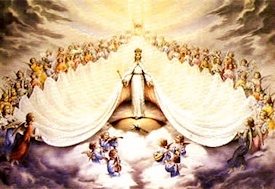 The three titles of the Divine Daughter are Princess of the World, Priestess of the World and Queen of Heaven. 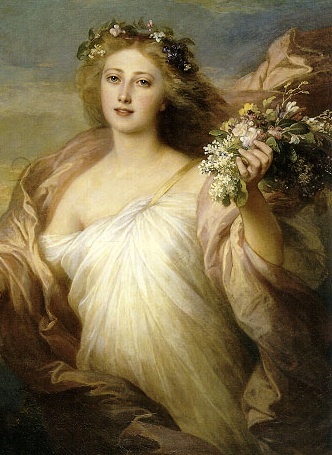 The May Day festival celebrates the Daughter as Queen of Heaven. 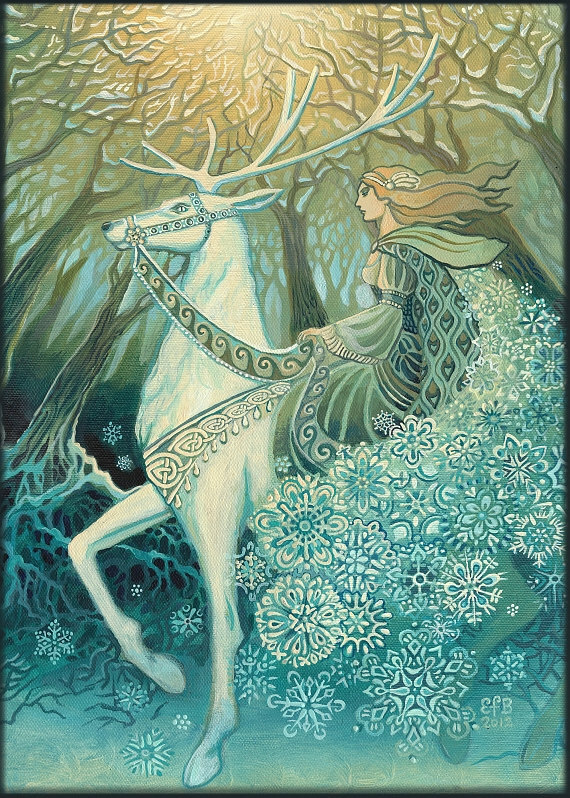 In this celestial aspect She is often depicted with a crown of stars and with the moon at her feet, watching over and sending down blessings to the world. In the Mythos of the Divine Maid, the Maid is restored to life by the tears of her Mother and walks on the Earth bringing all nature back to life. Flowers spring up as she passes. Easter Day is also the first day of Spring and the first day of the year. You can read more in All About Easter. The association of Easter with eggs is a natural one as they represent new life at springtime, but there is also a deeper symbolism in connection with the creation of the world; in a very real sense, Easter is the re-creation of the world. See Great Dove of the Waters. 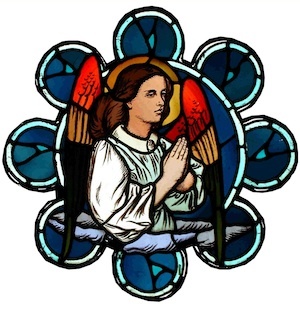 Now from the time when the Daughter of Heaven had passed through the first gate of Hell, a barrenness had fallen on the earth; and neither bird had sung nor any flower showed its beauty forth; nor was there joy in any heart. But when the Maid was slain upon the pillar of the world, an awful darkness fell on all the earth. And the rivers of the earth ceased to flow, but drained away into the salt sea, and the sea ceased to move, but stood still in awful stagnancy... And every growing thing began to wither from its roots. 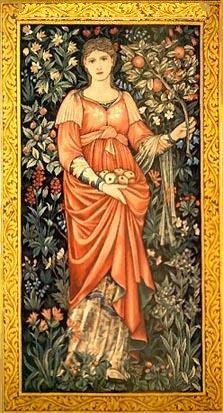 The story-beyond-time of the Maid's journey to the Dark Realm has been expressed throughout history; for some ancient examples see the article on Demeter and Persephone. Moura is both a month and a season. It is a period of purification that precedes the sacrifice of the Daughter at Easter. Many Filianists practice small acts of renunciation in preparation. Of course, our Moura disciplines are little more than tokens, but they are important tokens that help to align our will with the Will of Dea. Our Moura disciplines are simply the enactment of willingness and surrender that allows Dea to Act in us. 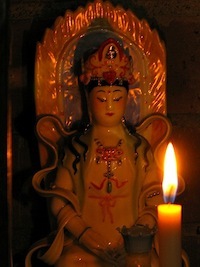 The Feast of Lights is the first festival of the Easter cycle and marks the Daughter's undertaking to carry the Light of the Mother into every part of manifestation, an undertaking that will lead Her to the Realm of Death. Candles represent the frail flickering Light of the Daughter, a pure divine light that nonetheless "trembles before the winds of death". They are traditionally blessed during services at this festival, and candlelight processions may be held. The Day of Sai Herthe is the festival of the home and the hearth-fire. 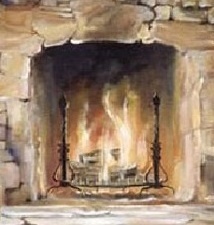 The fiery center of the cozy fireside not only represents the heart of the home but is also symbolic of the Supernal Sun. The Sun in the Cosmos is incarnated by the hearth within the microcosm of the house just as it is by the heart within the microcosm of the body. 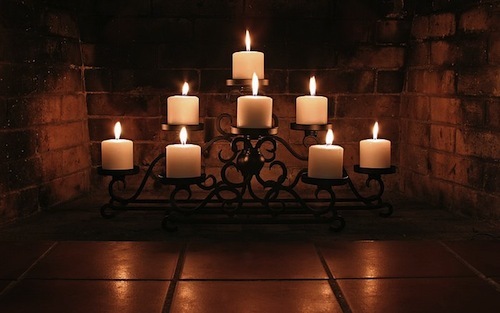 As many of us do not have hearth-fires in our modern homes, we may choose a shrine as a focal point, and light a candle to stand for the fire. We wish all our readers a happy and blessed Nativity. May your faith and joy be enriched through the coming year. You may like to listen to the beautiful Filianic carol "Hail to the Princess" and sing along! The coming of winter also brings the joyous season of Advent, anticipating the Nativity of God the Daughter. It is especially a time for preparing for the coming festival – not just the physical preparations in our homes but the spiritual readying of our hearts also. Tamala, the final celebration of the Mysteries of Life season, is a three-day fire festival known as the Feast of the Dead. The festival sees the embracing of death as one part of the soul's journey toward union with the Mother, and remembrance of loved ones, telling ghost stories, and decorating with skeletons are all a part of this. Cuivanya, the central festival of the Mysteries of Life season, is often called the Harvest Festival, but while this is an important aspect, the festival is far more than a celebration of material bounty. 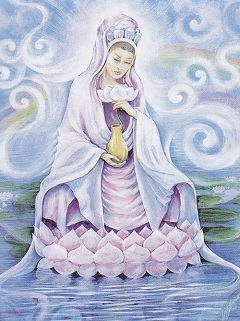 Chelanya opens the Mysteries of Life season and is the festival of regeneration. 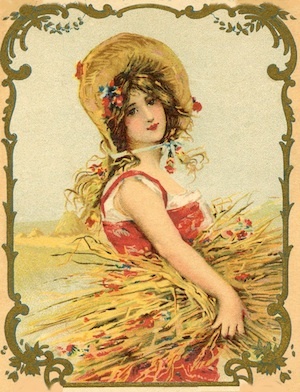 Celebrated on the cross-quarter day of summer, it marks the beginning of the harvest season, symbolic of the bounty of Dea. It is known as the Golden Festival, reflecting the goldenness of both the summer sun and the ripening grain. 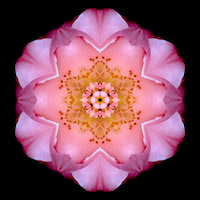 The Summer Solstice festival of Rosa Mundi opens the joyous Fire and Rose season. The celebrations with flowers and fireworks are the popular aspect of this deeply mystical festival which concerns ascent into heaven. 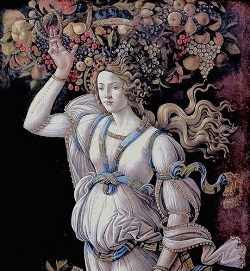 The final festival of the Easter cycle, falling half-way between the spring equinox and the summer solstice, celebrates the Daughter as Queen of Heaven. This ancient title reflecting Archetypal Reality has resurfaced in many times and places and is used today in the West for Mary and in the East for Ma-Tsu. Part of the season of Eastre, the Day of Our Sovereign Lady celebrates the Daughter as Princess of the World. And the children of the earth cried: lift up your voices in song and laughter, for the Princess of the World was dead and is alive again, was broken and is whole; and there is no place whereto Her joyous rule does not extend. 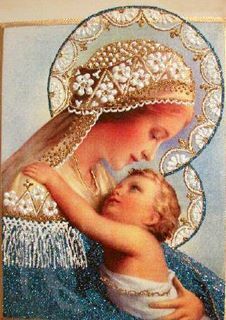 Give praise to the Mother of All Things and praise to Her Daughter. Rejoice, for the world is renewed. Happy Easter! Happy New Year! The last day of Moura, which is the last day of the year and the first day of the Easter festival, is known as Kala. 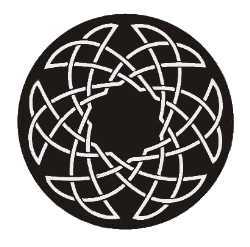 This is also the name of that aspect of Werde associated with cutting the thread of being. 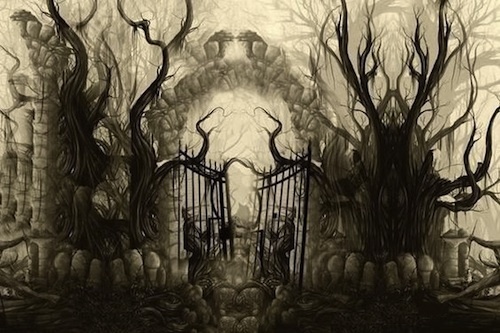 It is the day when the Daughter passes through the seven gates of the Nether World and is slain by the Dark Queen. The following time is known as Hiatus, when all things are desolate. See this Easter hymn and the Marianna Maria chant. For more about this festival, which this year begins on March 18, read All About Easter. At Luciad, the Daughter vows to take the Divine Light into the darkest places of existence. During Moura, She journeys to the heart of the Nether World. For Filianists, it is a time of discipline and purification, being mindful of the Daughter's purpose and preparing for the renewal of the world at the New Year. Continue reading "All about Moura"
The Feast of Lights, also known as Luciad, is a day when candles are blessed and snowdrops often adorn the altar. 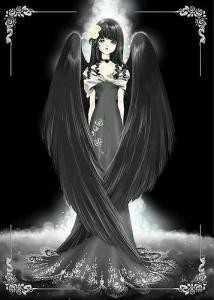 Both are symbolic of the pure trembling light of the Daughter as she vows to take the light of the Divine even into the darkest places of manifestation. Continue reading "Luciad: The Feast of Lights"
Sai Herthe, Lady of the Hearth Fire, is the protector of the home, and her feast day celebrates the home and its heart, symbol also of the divine heart of the universe. Continue reading "The Day of Sai Herthe"
And a cry issued out of the cave, saying: The holy Child is born from the most holy Mother; Light has come forth from Light, Perfection from Perfection. And at once the air was filled with the daughters of heaven, and the sky was ablaze with the radiance of their joy. The joyous festival of the Nativity of the Daughter celebrates the birth of Light in the Cave of the World, the great Event that sustains the life of the cosmos. A blessed Nativity to you all. 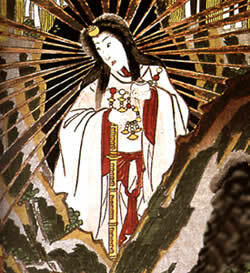 Continue reading "The High Feast of Nativity"
Amaterasu Omikami is the Japanese form of the great Sun Goddess. Her spiritual importance extends far beyond Japan. 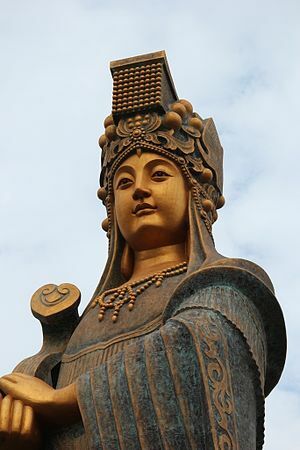 Continue reading "Amaterasu Omikami: The Great Solar Mother"
Continue reading "The Feast of the Conception of the Daughter"
Cuivanya, the Autumn Equinox festival, celebrates our Mother God as the Ground of All Being and the Creatrix of the World. Its central symbol is the apple. The whole universe is but the manifestation of the Spirit of Dea. 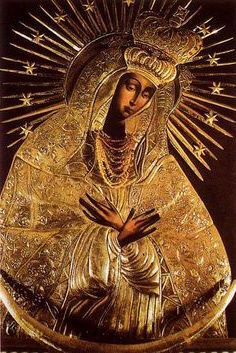 All things, from the vast galaxies to a blade of grass, are Divine Ideas in the Mind of Our Lady infused into material substance. Traditionally "the World" refers both to the particular world we inhabit (the ground beneath our feet and all that stands thereon or flies above it) and the entire cosmos, both physical and non-physical. Continue reading "Cuivanya, the Feast of Divine Life"
The Day of Werde on 16th Vaskaras, 23rd August, celebrates the Janya of destiny, who spins and weaves the thread of our lives. It provides an occasion for contemplating our personal fate, which is not fixed but influenced by our choices, and making resolutions for the future. Continue reading "The Day of Werde"
The first Festival of the Mysteries of Life season is Chelanya, the Golden Festival. It is celebrated on Kerea 22nd/August 1st. The dominant symbol of the festival is corn or wheat, which flourishes at the touch of the Sun, manifesting the rich Solar Gold upon the field of matter. The corn is also symbolic of sacrifice and resurrection, as it is cut down and grows again – in this connection it is usually paired with the sickle. Continue reading "Chelanya: The Golden Festival"
The Fire and Rose season opens on Sunday Rosea 9th (June 21st) with the High Feast of Rosa Mundi. 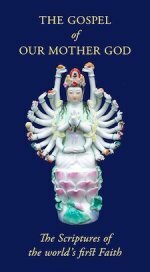 The central theme of this festival is the ascent of maid to Heaven, the return of the soul to our Mother God. 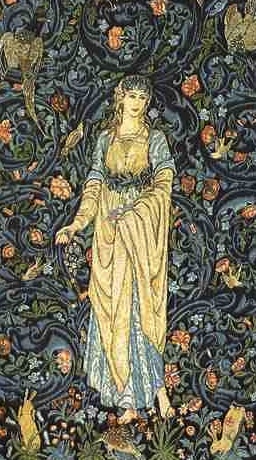 See the article for the connection between Rosa Mundi and the story of the Sleeping Beauty. 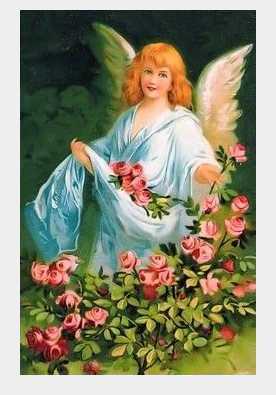 Continue reading "The High Feast of Rosa Mundi"
Florimaia is the day when we celebrate the wonder and beauty of flowers, perhaps the loveliest of Our Lady's gifts to us. Continue reading "Exaltation of the Queen of Heaven"
Following our recent article on solar eclipses, Filianic blogger Myryam Hildotter has produced a very detailed article on the subject of eclipses and their dangers. Continue reading "More on Eclipses"